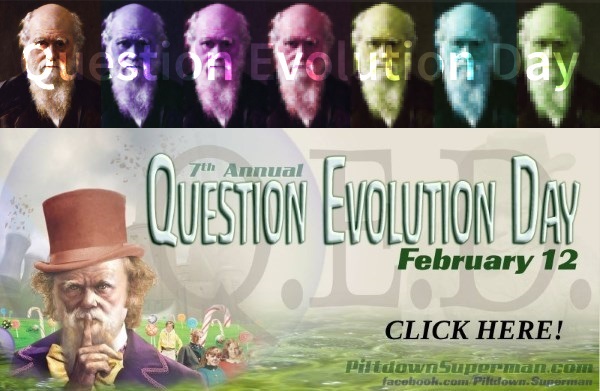 This is an important topic for any day, but even more so for Question Evolution Day. Western civilization has strong Christian roots which have, in turn, effected ethics. That is mighty helpful, since modern science was mostly founded because of the biblical worldview. Unfortunately, with postmodernism, Darwinism, and materialism galloping wild and free, ethical and moral concerns in science are fading into the background. One example is of scientists who want to keep human embryos alive even longer before killing them. Other countries do not have such ethical constraints from the get-go. China has been working on the CRISPR genome editing tool, and are "unfettered by rules". While we have ethical concerns, the ChiComs are materialists and force atheism on their people, so we know where their "morality" will lead. In addition, China is moving forward with cloning, announcing that they have successfully cloned two monkeys. The concept of cloning gets some folks on the prod, with visions of glass vats full of bubbling water and creatures in various stages of growth. It's not that easy, requiring a great deal more than test tubes and storage units. Although "identical" twins are not absolutely identical, they are natural clones. However, there are genetic variations that occur in cloning. If someone had the means and took a notion to clone a hero or a tyrant, when the child became an adult, he or she could have a far different personality than that of the source. Like gene editing, cloning is also an area where people have wrestled with ethical questions. At the moment, unethical secularists seem to be persuading people to their point of view. Do we want people with a materialistic worldview in charge of such potentially beneficial or destructive ideas as cloning and genome editing? The Western world is becoming increasingly secularized, while places like China don't pay ethics no nevermind. Atheism is enforced, even though it is irrational and incoherent, and science is not possible in a consistent atheistic worldview. Christians who believe the Bible know that we were created in God's image, and humans have value and dignity. The idea of cloning humans should be alarming to us, as well as the probabilities of increasing eugenics and abortion. Hopefully, we can present the biblical creation worldview and supporting evidence so people will begin to question evolution. They need to see that life has purpose and value, and we are not just cosmic and biological accidents. People also need to see that evidence supporting special creation and refuting evolution is largely withheld by secularists. Ultimately, we hope to see them repent and trust in Jesus Christ for their salvation. As usual, I have some items that I'd like to share with you. These are my main sources and inspirations for this article. First is from The Briefing Podcast by Dr. Albert Mohler. Free to read the transcript, listen online or download, click here. Second, "Monkeying around with cloning". I hope you'll listen and or read them. Remember, we are created beings, not accidents of materialistic processes.